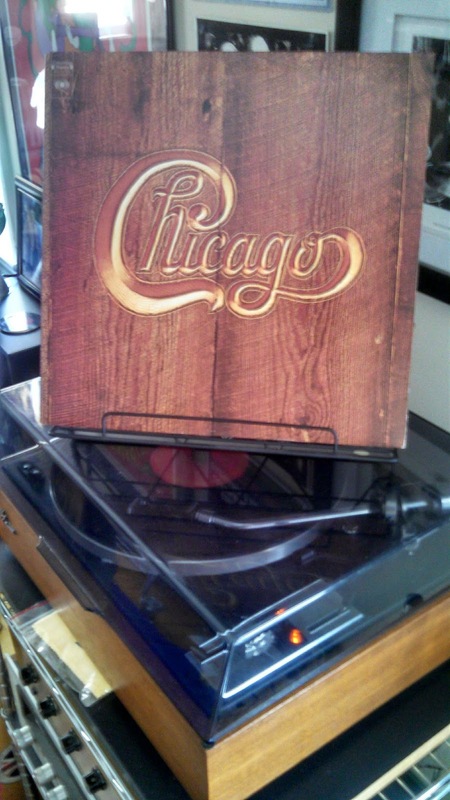 Pulled from the stuffed ‘rock room’ record shelves today is the 1972 album from ‘Chicago’, numbered five in the groups’ chronology and housed in a wood carved cover that resonates with the rich and earthy music contained within. Released on July 10, 1972 this particular album features the original group in all of their musical glory and in a certain sense reaching a musical peak. The compositions on Chicago V find the band experimenting with rhythms, scales and experimental horn charts all while brushing against the edges of the progressive music movement. The studio recording is funky, moody and plays almost as one entire musical movement comprised of diverse and multiple moods. This is not the ‘Chicago’ of power ballad fame or sappy warm radio station dissemination's. This is the most underrated powerhouse rock/soul review that every music fan has heard of but many have never really heard. Keyboardist Robert Lamm is a formidable power on the LP, writing eight out of the ten songs on the collection in addition to playing stratospheric keys throughout. Peter Cetera did not offer any originals to the record but still offered a large dose of his underrated bass skills and distinctive vocals. Terry Kath, while only contributing one song, burns through the Lamm compositions with some of his most aggressive playing to ever be committed to tape, experimenting with tone and feel. The entire group is playing as one cohesive unit on the record, their previous recordings and performances seem to lead up to this particular sonic nexus.The ‘Chicago’ horns of Loughnane, Pankow and Parazaider are the grease for the wheel, painting with breathy swashes of color, contributing multiple aesthetics to the tracks, whether through horny jazzy improvs, gentle breathy kisses, or rock and roll soul train blasts. The LP was recorded during the era of ‘Chicago’s legendary Live at Carnegie Hall record and the creative juices from that collection spill over and stain this particular recording. A subtle breeze of white noise and guitar vibratto opens the record revealing the shifty introduction to ‘A Hit By Varese’. The song is a percolating current of puffy keyboards and tangled bass and drums. Kath's crosscut rhythm playing drives the shiftiness of the tune. The song is a commentary and tribute to French composer Edgar Varese, influential to the group and other rock musicians. The content, Lamm’s expressed wonderment at the idea that Varese would ever become ‘mainstream’ with the help of 'Chicago's' musicianship. As far as the instrumentation, a mid song rendezvous between all three horn players results in the carpet being pulled out from under the listener all the while sliding on blue bolts of Kath guitar feedback streaks. What an opening and what an amazing introductory jam! The so groovy ‘All Is Well’ follows emanating a sugary pop funkiness. 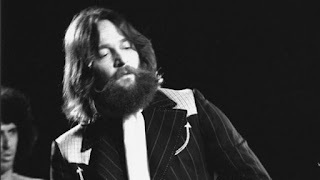 The vocal blend is perfect, one created voice similar to a CSN vocal attack. While the song hints at Chicago’s future excursions into explosive pop anthems, here the song is hand over suede smooth and allows for a tasteful concentration and play on the groove. The definition of a 'deep cut'. ‘Now That you’ve Gone’ comes next and is a James Pankow composition while featuring Kath’s first lead vocal of the record. The mood of the song teeters between the subterranean burrowing of the verses and the contrasting illuminated Cetera sung chorus. The track begins its birth with cavernous thumping tom-tom’s, sticky wah-wah’d keyboards and Kath’s clean sheet Steve Cropper scrubbing. The tune also contains a nicely extended and dizzying outro jam revealing a screaming Parazaider sax solo as well as a mid song switch to 5/4 time that keeps things sonically interesting. The first side of the record closes with the seven minute suite ‘Dialogue Parts I and II’. 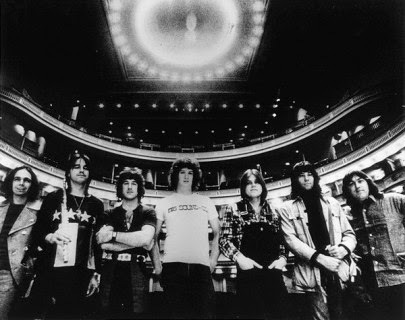 A truncated version of these songs was released as a successful single; the LP contains the extended edition. 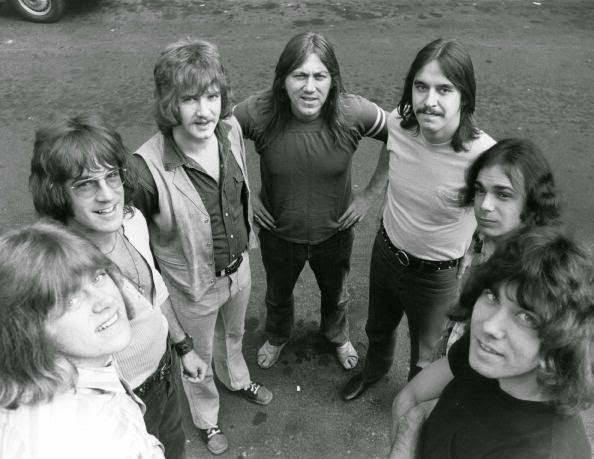 Opening with another irresistible Terry Kath guitar groove that crawls from your ears to your smiling lips, ‘Dialog’ spotlights alternating and shared vocals between Kath and Cetera. Both singers are in character Kath acting as the politically charged and motivated party, speaking to the ambivalent sleepwalker Cetera who would rather sit by uninvolved. During the segue between the song segments, Kath takes a fantastic strangled solo that morphs into a syrupy guitar tug of war with the horns, Cetera’s rubber bass and Danny Seraphine’s deadbolt drumming. Seraphine is the champion of the record, cementing the foundation in which all of the instrumental magic can take place. The highlight song of the first side becomes a joyful joining of ideas and voices as the mantra of ‘We can change the world now, we can make it happen, we can save the children’ echoes throughout until its crisp acapella conclusion. The flip side of the record opens with a cymbal wind and prodding horns before crashing into the defiant and racing, ‘While the City Sleeps’. The songs sludgy punctuated introduction alternates with a serpentine, ascending and kinetic verse structure. The horns breathlessly answer the vocals apprehensive plea, before Kath again scribbles out a Telecaster solo that reveals an incendiary series of twists and turns. The transistor tone of his guitar in conjunction with the moaning drone of horns highlight this definitive track in the canon of ‘Chicago’. This is a weighty groove being laid down; the rhythm section is especially excitable and on point. A serrated beginning to the second side of music. Cetera powerfully croons Lamm’s strutting ‘State of the Union’ as well as the following song ‘Goodbye’. ‘State of the Union’ comes first and moves in stony protest with Kath’s watery guitar lapping against the solid breakwall of horns. Under this swelling motion Cetera and Seraphine nail the furniture to the floor in a groove worthy of the listeners’ attention. The song sounds under sinister street lights, dark nights and creepy cats. ‘Goodbye’ follows and is in my opinion the ‘jazziest’, for lack of a better term, track on the entire record. It is also quite multifaceted, opening with a swirling and extended horn prelude, moving into a breezy verse and slick trumpet solo and finally landing into a churning groove that feathers into a quickly appearing ‘chorus’. The multiple breakdowns contained within the song structure fit like locked hands, in spite of their divergent personalities. Concluding, there could be no other tune to close this particular album with than Terry Kath’s ‘Alma Mater’. The acoustic guitar and piano based track is sparse in its construction in relation to the preceding songs. Kath’s soulful throat expresses as much hopefulness through its timbre as the words express through their meaning. The drums enter for verse two and the ‘rock room’ can only compare this vocal performance to a Richard Manuel performance for the ‘Band’. I say this because of the way this vocal can shake the leaves from the trees and pull memories and dreams from a musical soul. The song resembles a traditional gospel tune in its grace and timeless melody. When the chorus comes around and all of vocalists join with T.K. in harmony and brotherhood, it’s a major musical moment worthy of time reflection. 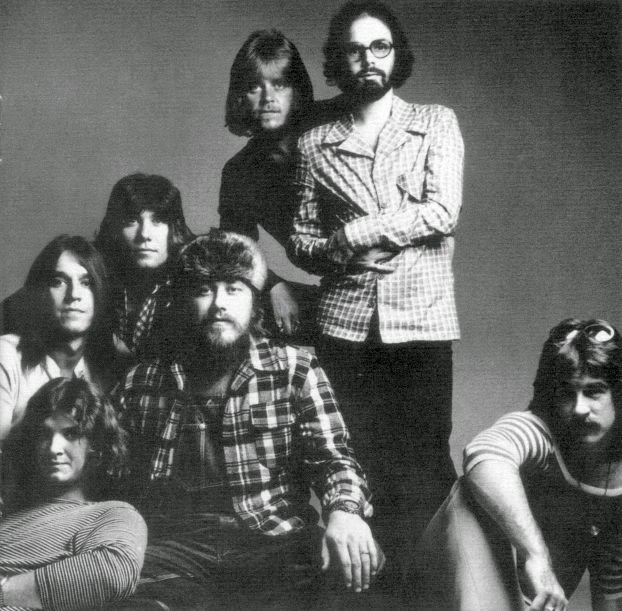 ‘Chicago’s’ 1972 LP Chicago V is not only underrepresented in rock history, but quite possibly in the groups own catalog. The album is made up of multiple components both in lyrical content and instrumental expressions. There is social commentary, loss, reflection, hopefulness and even a discussion played out between varying view points. The music gathers differing points of influence from unique places, but eventually rests on its own special personnel and stellar songwriting. For fans of ‘Chicago’ none of this should be a surprise, for rock fans who have not yet delved into the fruitful waters of ‘Chicago’s discography, look no further than the fifth chapter in their storied history.